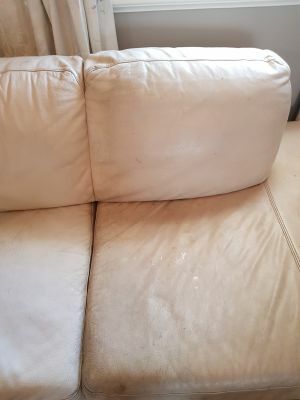 Chem-Dry offers safe and effective cleaning of leather furniture that restores its natural vibrancy and shine, adding years of life to your investment. Our Certified Leather Specialists will carefully identify your furniture’s leather types and select products specifically designed to clean and remove soil buildups and other stain-causing elements. We’ll then condition and protect your leather to revitalize and replenish its natural beauty and feel. We recommend that you establish a regular cleaning schedule that includes professional cleanings between 2 and 4 times a year, depending on the age of the furniture and amount of wear it gets.